Adventure Sports Miami operates tours and equipment rentals within local Miami Dade county parks and other natural areas within the county. ASM is headquartered out of Coconut Grove and operates a daily concession of equipment rentals and tours out of Matheson Hammock Park. Single and Double kayaks, and stand-up paddle boards can be rented by the hour or for the half day. If you've always wanted to get started learning Kite-Boarding, the staff with ASM are experienced kite boarding instructors that can provide classes and rentals. Various other workshops are offered like paddleboarding Yoga, contact their main number for more information. Tours are offered all over Miami Dade County that can be both adventurous and educational. Explore the Everglades, kayak or canoe around beautiful islands, learn about sea turtles or participate in a guided bike tour. ASM's Sea Turtle Awareness programs involve a 45-min presentation about sea turtles, walks along the beach to learn about their nests and habitats as well as an opportunity to handle actual skulls, shells and foods of the sea turtle. 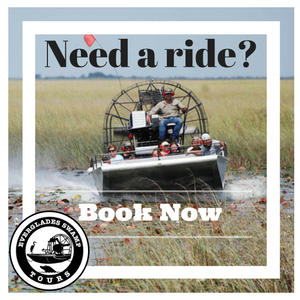 Take one of their exciting Expedition Tours like an airboat ride through the Everglades, "Swamp Tromp", Kayak Fishing, Birding Tours, or a naturalist expedition focused on canoeing, backpacking and bicycling. They also take a 15 mile Shark Valley adventure in Collier County. Nine different kayak, canoe and snorkel tours through Oleta River, Key Biscayne, Indian Key, Matheson Hammock Park Bay and the Coral Gables waterways can be arranged. For bicyclists who love exploring Florida's quiet wilderness but would appreciate the guidance of a knowledgeable leader, consider one of ASM's bike tours that covers areas of Key Biscayne, Redlands, and the Everglades. On the Key Biscayne Tour, meet at Crandon Park to explore this tropical paradise once the base for pirates, Tequesta Indians and many other early peoples of Florida. The 8 mile tour will include stops at Crandon Marina, the Crandon Gardens, and Bear Cut Preserve. The Redland cycling tour meets at Castellow Hammock Park and tours local groves, nurseries as well as the popular Knaus Berry Farm and Redland Fruit & Spice Park. The Everglades Pineland Tour starts at Everglades National Park and explores a 7 mile route through Long Pine Key.